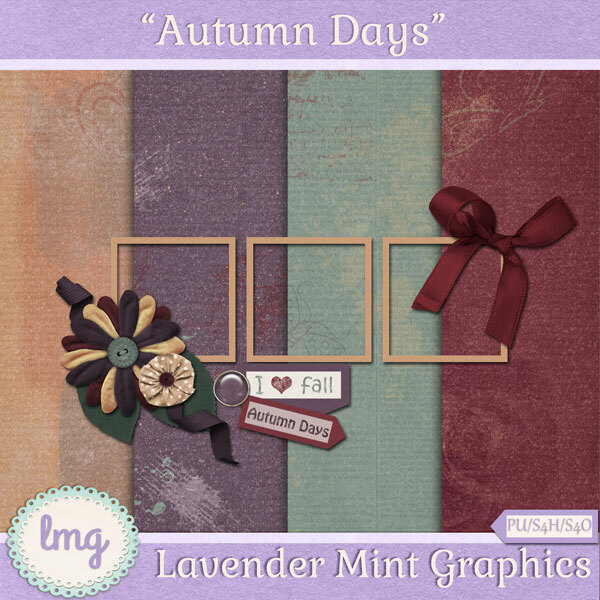 “Autumn Days” – Newsletter signup mini kit! This is going to be a drive by post! I am so busy getting some kits and goodies together for my new store (details to come later), but I wanted to make sure to let you know about the new mini kit I did for you. This kit is available for signing up for my newsletter AND for all those who continue to stay signed up because I do appreciate you sticking with me through the learning times lol. The information will be in the newsletter that will come out today. My goal is to try to have a new mini kit for signups each season. IF that will happen, I don’t know lol. But it is my goal. Below is the preview of the new kit. Once you sign up, you should received one or two emails to confirm and it should direct you to get the kit. Please let me know if you have any trouble. I’m fixing now. Thanks for letting me know. Give me just a bit. Deb, I resent the newsletter with the link fixed. Hope you got it!